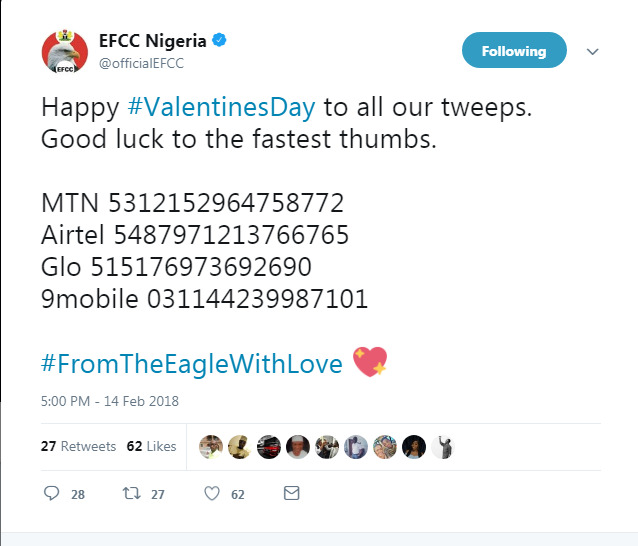 Nigerian law enforcement agency that investigates financial crimes such as advance fee fraud (419 fraud) and money laundering. 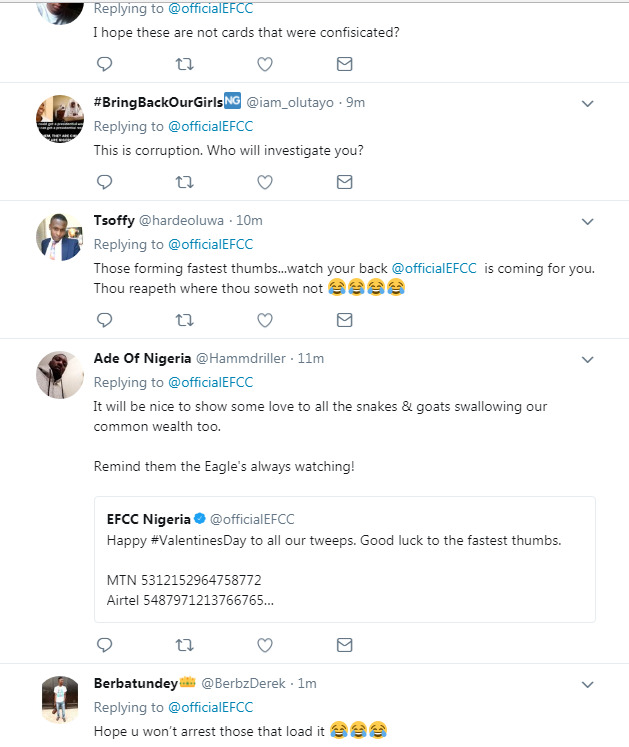 Popularly known as EFCC, surprised the followers and fans on social network platform, Twitter. 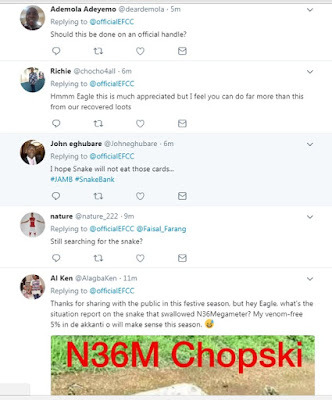 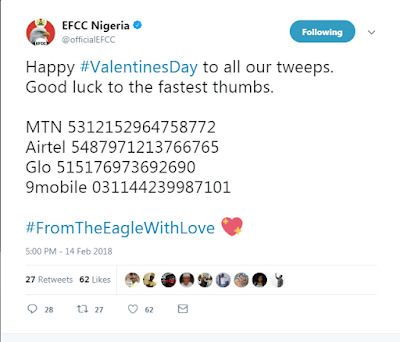 The EFCC official Twitter handle sure has a large sense of humour shared Airtel, Glo, MTN and 9mobile recharge cards, as a valentine gift. 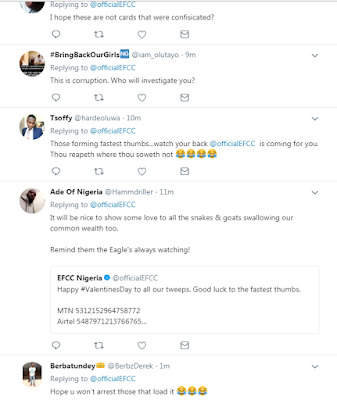 Check out Nigerians reacts below.